What’s the best material for the job? Basically, any material will do but it’s more worth it to choose the best than just a “will do” material. There are three different materials that you could use for the construction namely wood, metal, and plastic. These three materials are the most widely used materials for shed building. Each material also has its own set of advantage and disadvantage so you have to make sure you choose the right one. The answer to this question depends on several factors like how much space you have on your area and how far your budget could go. 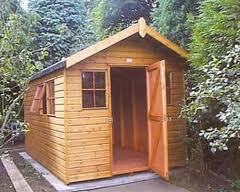 Anyway, the smallest size for a shed is 5’x7’ but this could go up depending on your other purposes for a shed. Can I have it insulated? Yes you can. As a matter of fact, insulating your cheap shed or summerhouse makes a big difference in terms of lifespan and durability. You could use either fiberglass insulation or foam insulation. This entirely depends on your preference. Will I need a building permit for the construction? A building permit will only be required if your wooden shed reaches and goes beyond a certain size. If a shed reaches 30 square meters then you would need that permit. This also applies for either temporary or permanent summerhouses. Click here to know more about sheds. With the hectic lifestyle that almost all people have these days; it really is typical for an individual with a day-to-day task to bring some of their work at home. This is noticeable on people that have their very own business or regular employees that cope with pending documents or ongoing researches every day. Noise Created By Children. Kids are all angels however, when you have to finish a written report that is due the next day, you wish to have the much needed silence in order to focus. This is extremely hard for with children at home. Youngsters want to run around, have minor arguments with their sisters and brothers over some petty and childish concerns. You may decide to do your work in your study room, but nevertheless it would still not give you the peace and quiet that you require in order to finish your pending reports. Interruptions. Whenever you are at home, you’ll encounter lots of disruptions. TV may be one of those disrupting factor. No one could easily resist the temptation of watching a good movie if it is currently playing. You could also be distracted with the pending house chores which need to be done. Because of this, you wind up doing household errands instead of completing your current studies. Noises. The most common factor is noise. You will not be able to perform efficiently if you’re in the room that’s not conducive for working. You’ll not have the needed focus which results to incorrect output. Creating a summerhouse in your garden would be very effective for this kind of need. You get to enjoy your privacy which you require in order to be productive as to what you need to do with a very minimal possibility of being distracted. You can either set up a television on your very own home office or integrate furniture and other ornamental pieces which you think can give you a sense of comfort. You can pile up all your papers, reports and also place your computer on this garden shed. In that way, you have all the stuff that you need to get the job done efficiently. 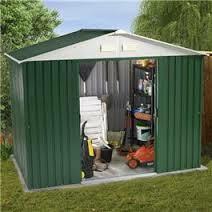 This type of cheap sheds can be obtained in various shapes and sizes based on your necessities. When choosing the right size, you must always consider that you need to consider the available space in your garden and the purpose of the shed. Since this will be used as a garden home office, it would be best to also take into account the number and size of the furniture which will be placed in it. You can choose the style which you like and you can even customize this type of shed and decorate it according to your taste. Each individual has their own taste and preference and this is applicable when it comes to choosing the style and design of the shed. Some may wish to have it as simple as possible while others would prefer to purchase a very elegant one. Since there are various styles available for your choosing you can either choose the one which would blend in well with the current design of your home and your garden or if you wish, you can also choose a style which would stand out from the existing design and layout of your landscape. Regardless of what style and design you prefer, summerhouse would be a great addition to your property. Not only will it provide you with the privacy that you need but it would also enhance the beauty of your landscape and increase the value of your property which can be very beneficial if you are planning to sell your home in the near future. 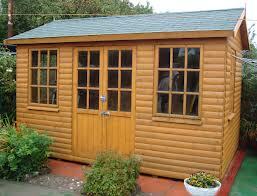 Check garden sheds for the various types of summerhouses. 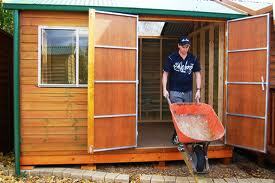 You will also find other types of garden sheds which can answer your other gardening storage needs. Ever experienced that moment that you got a new lawn mower but your garage doesn’t have any space left? It somewhat drives you mad right? It happens quite a lot to many people. But, there is a solution to all this storage space shortage. If you’re thinking of storing things in your basement, then you might want to consider the hassle of taking it out. Anyway, there are alternative means of putting up new storage spaces to suffice your need. Of course, your main reason would be for storage and probably a whole lot of peoples reason too. However, there’s always that inevitable moment where you need more than just a storage facility. Garden sheds house space for your materials and equipment. But have you ever thought about using it for other means? For example, a lot of people use their basements as a place for crafting things. Some even use it as an alternative living space especially the kids who want to have some space of their own to be creative. Thinking about combining a storage facility and also using it for other purposes is a good thing. It’s actually ideas like these that created the cheap sheds in the first place. People wanted to have ample storage, they built garden sheds. Then people found out that they need to do stuff but have nowhere else to go, they used their sheds for other purposes. It’s actually that simple but the thing is that it only happens when you plan for it. So try to think about the things that you might need in the future because it can definitely help out. Like any other facility, garden sheds can be built on almost anything from wood to plastic. With these options at hand, you can experiment on your own with the design, size, and shape of your shed. And in the event that you don’t feel that creativeness pulsing through your veins, you could also buy those pre-built sheds that are time savers. The choice is totally yours. There are tons of benefits in making one too. Check Sheds Direct For More information. Have you been stuck in that ugly situation of keeping your things in one place? I wouldn’t doubt that you did. In fact, a lot of people do. We normally get new things as time goes by and replace the existing ones. That is why we need to have a place in our homes to keep them. However, the free space that we have always grown short of the things that need to be stored. These day conveniences are a must. What people truly need is a facility that can keep things out of harm’s way with ease and convenience. Different materials can be used to create a garden shed. Plastic, metal, and wood are the three basic materials for making sheds. When it comes to sheds, safety is nothing to be concerned about. Also, they can be put in very convenient locations so easily that putting one in your yard won’t be such a hard thing to do. When the need for storage space arises, garden sheds are among the best solutions there is. Garden sheds can provide the space that you very much need. Also, having one is to your overall convenience. There are ready-made garden sheds that can save you a hefty amount of time for installing it manually. Yes, that’s very much correct. Visibly looking great, garden sheds are as affordable as ever. 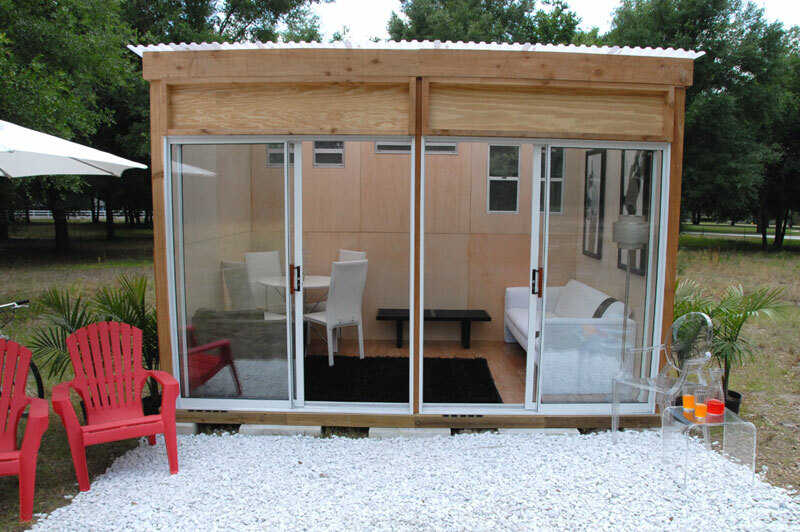 With the help of manufacturers, productions of sheds are made relatively cheaper. On the other hand, the designs vary as well as the prices. But need not to worry since all designs have their affordable counterparts that you’d find very pleasing. Garden shed designs can be both functional and stylish. The garden shed designs offer a welcoming feel with distinct flavor depending on the approach of style. Whether you like it simple or perhaps complex, there are enough designs to satisfy your taste. The more complex design could even increase your home’s value with its addition. However, it all depends on what you want or need. What you choose won’t be a problem, since every option has its own unique benefits. Navigate to this website for more information. People from different walks of life especially the families of the urban society have always wanted to build garden sheds. These sheds or outdoor buildings are great additions to any landscape design. Aside from that it provides additional storage space for your gardening tools. Several establishments offer a wide array of various sizes and styles for you to choose from. It comes with very affordable prices that will fit your budget and all are made of quality materials that will surely suit your needs. There are several types such as wooden garden sheds, inexpensive metal sheds, plastic (low cost) garden sheds and all of which are great choices. 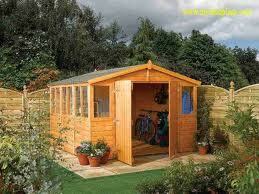 Cheap wooden made garden sheds are very common that and are also widely available in the market. It has been known to be one of the most secure type of sheds. Typically, they are also the most affordable you can buy and build. The styles, the size and quality of materials to be utilized will depend on your budget and your preference. It would require regular upkeep to prevent warping and pest infestations. It would also require a special type of wood coating which is to be done on a regular basis to protect its quality. When it comes to popularity, nowadays plastic garden shed is also one of the favourite choices of any homeowner. One of the reasons for its fame is its easy construction and its contemporary design. Aside from the fact of being competitive in the market because of their quality and affordable price, this kind of cheap garden shed requires minimal upkeep. Simply washing with the use of soap and water is all that is needed. When you buy this plastic garden shed, you can choose the design of shelves storage and you can determine how many outlets are to be installed. It is also known for its mobility because it is weight. It can easily be moved from one location of the yard to another by two people. The homeowner no longer has to dismantle and reassemble it all over again. As you can see it’s very comfortable. Hassle free. The third type is the metal sheds. It has been known for its durability and stability. It has the ability to withstand several types of weather conditions keeping your garden tools safe from several harmful elements which may cause damage. It requires minimal upkeep as compared to a wooden shed. It can either be made of aluminum or steel and you can choose either one depending on your preference. The price of this shed ranges between the prices of wooden sheds and plastic sheds. With this type of outdoor building, you no longer have to worry about warping and pest infestation. Homeowners can choose between building their own or purchasing from a manufacturer. 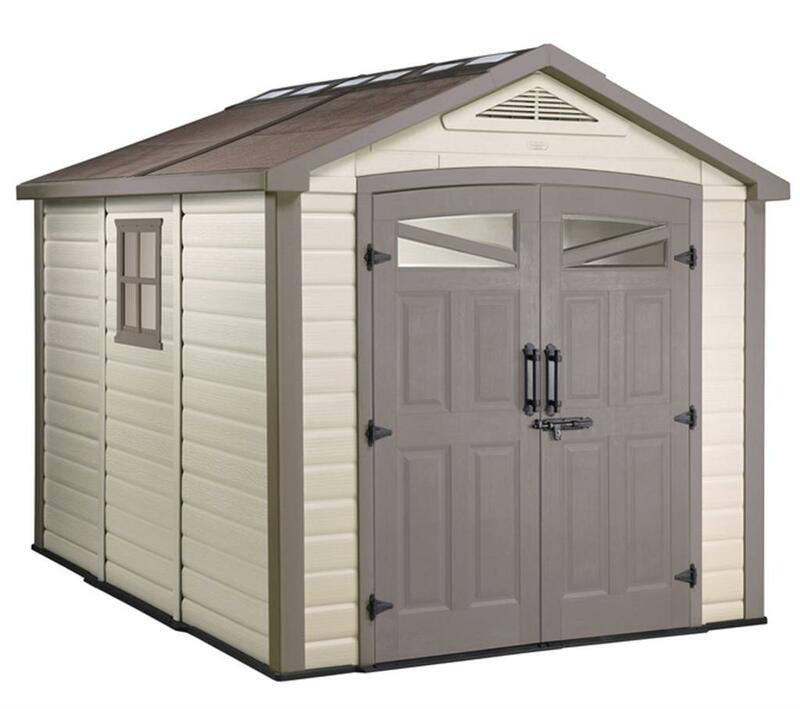 With the advent of the internet, shopping for several items such as these cheap sheds have been made simple. Purchasing it can now be done online. Several manufacturers have their own website and they have their own gallery showing pictures, descriptions and prices of their cheap sheds for sale. You can now conveniently choose from the available selections for the type that you think will be the best solution to your needs. There are several other types of outdoor buildings which you can use for many other purposes. Click here to know more.